Robin Hood, The Prince of Outlaws: a tale of the fourteenth century from the 'Lytell Geste'. Published London: J. M. Dent & Sons, 1975 reissue (originally issued in the Children's Illustrated Classics series, 1949). Printer: C. Nicholls & Co. Overall condition fair: covers scuffed, some wear at the edges and corners, some wrinkling on the spine; pages yellowed with age; text appears to be free of marking. Weight without packaging: 126g . 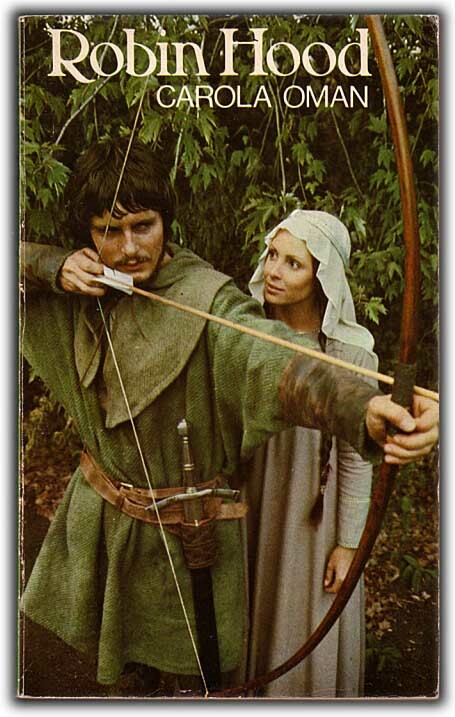 Children's fiction: Reissued to accompany a 1970s BBC production: front cover shows Martin Potter as Robin Hood and Diane Keene as Maid Marian.